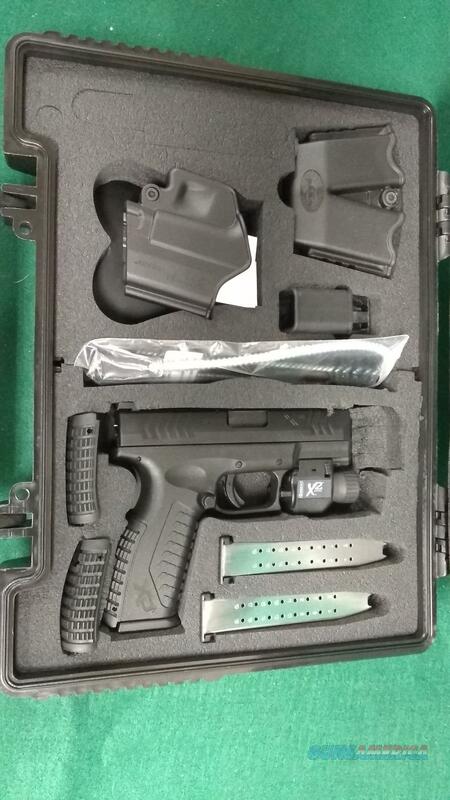 Description: Springfield XDM9 3.8" 9mm - Gun is in perfect condition in the original box with Two Mag Pouch, Holster, Loader, Grip Panels, Three 19rd. mags, and an Insight X2 Light. Email for more pics.